Today, because it was raining, Field Hockey practice was cancelled and, thus, me and some friends stayed at school and played some games and ate random junk food. The first game we played was a board game that was a dodgy complete rip-off of LIFE, though it was still fun. 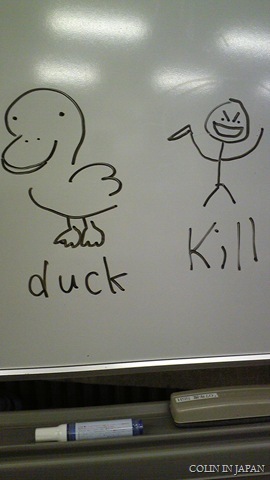 The second game was a word game where you would start with “Apple” in Japanese and then the last letter would be the first letter of a different word that the next person would have to think up and you would have to draw a picture of it on the whiteboard. 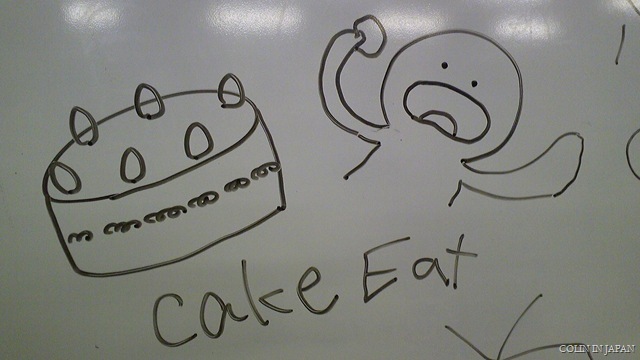 The first rounds were in Japanese, and the latter rounds were in English. 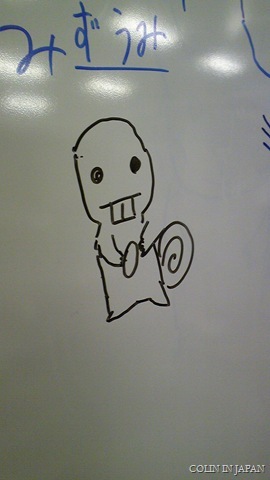 Crazy squirrel drawn by someone who’s name escapes me. He hadn’t yet written “Risu” under it. 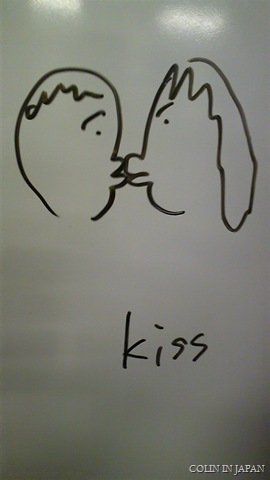 Sad/Angry couple kiss by George. 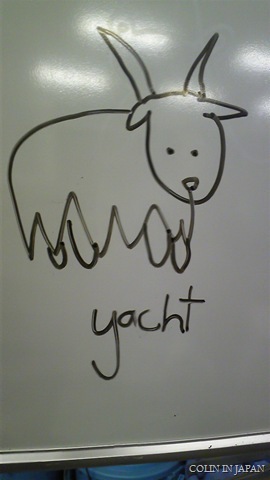 I’m really proud of my Yak. Just not my spelling of it. I’ll have pictures that are more relevant to anything in my next post, as well as actual pictures of actual things that aren’t scenery/yachts.